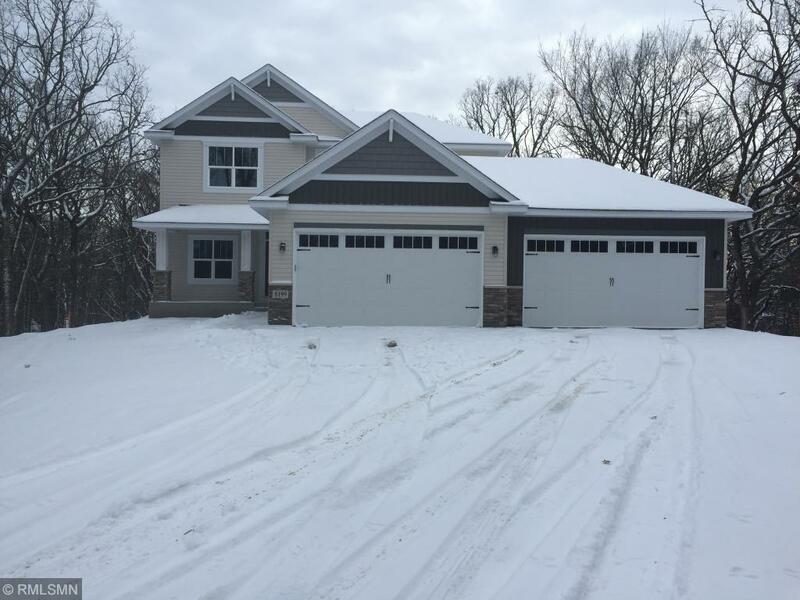 Fast Possession Available The Cambridge 2 story by Drake Homes offers 4 Car Garage , 4 BR, 3 baths and almost 2200 sq ft finished on a Wooded Mississippi River 3.4 Acre lot. Desirable porch front with can lights, main flr office with french doors, mud/laundry room off the garage with walk in closet & 1/2 bath. Great kitchen with lots of custom built Popal cabinets, granite countertops w/apron sink, CI pantry closet, stainless steel appliances. Ensuite w/ceramic tile shower & Free Standing Tub.